It looks gorgeous....but I daren't sing with it, incase any of the diamonds fell off! hu? 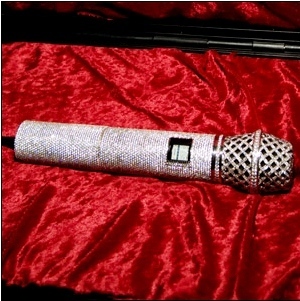 Is this Toni Braxton's microphone? Well my goodness. I guess she has money to spend then! WOW! it's alright if you have money to splash about.